12th November was celebrated as the World Pneumonia Day. Dr Poonam Sambhaji, a Pediatrician in Goa and a client of MyOPD was mentioned in the news of Marathi Daily Newspaper – Lokmat. 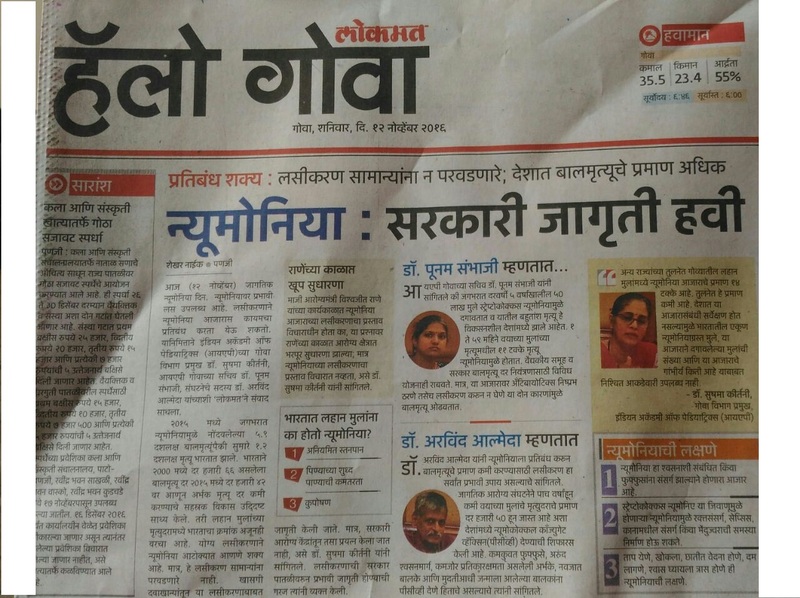 The article is in Marathi and provides insights on Pneumonia. Disclaimer: MyOPD does not endorse any political views in the article. The sole objective of the article is to read medical details provided for the benefit of their child. This entry was posted in Informative and tagged #DrPoonamSambhaji, #Pneumonia, #WorldPneumoniaDay, DrPoonamMSambhaji on November 14, 2016 by Team MyOPD.